Born in Tasmania, Sarah moved to Sydney in 2005 for her studies and completed a Master of Performance at the Sydney Conservatorium. Sarah recently appeared in Sid the Serpent for OzOpera’s NSW Schools Company, having previously performed for them in Cinderella (2009), The Barber of Seville (2008) and The Magic Flute (2007). Other engagements have included Baroque Masterworks (Opera Australia, 2009), Bach’s St John Passion (Bel A Cappella, 2008) and Opera Australia’s Opera Gala (2010). Sarah appears regularly with ensembles such as Cantillation, Pinchgut Opera, Sydney Symphony and Musica Viva and has recorded for ABC Classic FM. In 2010 Sarah created the role of Spirit in FOX, which toured Australia for Monkey Baa Theatre, and premiered the one-woman chamber piece KIMISIS for IHOS Opera and MONA FOMA. 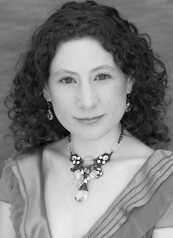 In early 2011 she sang the role of Rose Pickles in a filmed recording of excerpts from George Palmer’s new opera Cloudstreet and performed Soprano II in Mendelssohn’s Lobgesang with Willoughby Symphony. She also appeared as Papagena in The Magic Flute with Canberra Symphony Orchestra and Pacific Opera, for whom she is also a Telstra Wholesale Young Artist. Other engagements included the premiere of Golden Summers for Mosman Council in November 2011 and Opera Australia’s chorus for Turandot. In December 2011 she won the MTO German-Australian Opera Grant in Melbourne and went to Germany in June 2012 to become a part of the professional ensemble at the Hessisches Staatstheater in Wiesbaden.